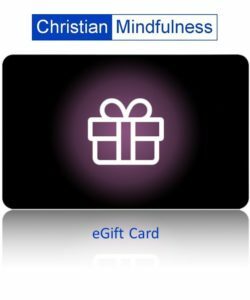 Access to the Christian Mindfulness and Christian Contemplation Online Courses can be purchased in bulk with discount. This offers the possibility of a larger number of individuals benefiting who are affiliated to the purchasing organisation or group. Access is provided to both the Christian Mindfulness AND Christian Contemplation Courses with all of the features described for Double Bronze, Double Silver or Double Gold. Substantial discounts are available for 5, 10, 20, 30, 40 or 50 access passes. Please choose from the options below. After purchase you will receive an email with full instructions and a receipt from PayPal/Stripe. See below for further details. Churches wishing to offer the courses to individuals for Pastoral Care and Discipleship purposes and where online access is considered appropriate. For Spiritual Formation Groups who wish to study and practice mindfulness and contemplation from a Christian and biblical perspective. Church Headquarters or Denominational Head Quarters where staff, members and those involved in ministry can benefit from online access to the courses. As an additional self help tool for Christians and those involved in Christian Ministry who are seeking to recover from stress, anxiety, low mood, depression and various other health issues. Christian Mission Organisations who have members scattered around the world. Access can be provided online to as many individuals as necessary. This can be especially valuable for these individuals. CPD Training - The Online Courses can contribute up to 40 hours of CPD training per person including video sessions, questions for discussion/reflection and a 14 week mindfulness, contemplation and meditation programme. Christian Counsellors, Medical Professionals and some low intensity Psychiatric Care where a Christian online self help tool is considered to be appropriate for additional help. NB The Online Courses are NOT a substitute for professional or medical advice but may be offered as an additional self help tool when considered suitable for the needs of the individual. This decision lies solely with the Counsellor or Professional involved in each individual case. Each Course Access Pass must have a separate email address. Course Access Passes will only be issued to those email addresses who have been authorised in writing by the purchasing organisation (email to info@christianmindfulness.co.uk from the authorised purchaser is sufficient, detailing those email addresses which are to be given access). For more details on what’s included in the Bronze, Silver and Gold Package Options see here. If you have any questions regarding the bulk purchase options please contact Christian Mindfulness for clarification. Thank you.